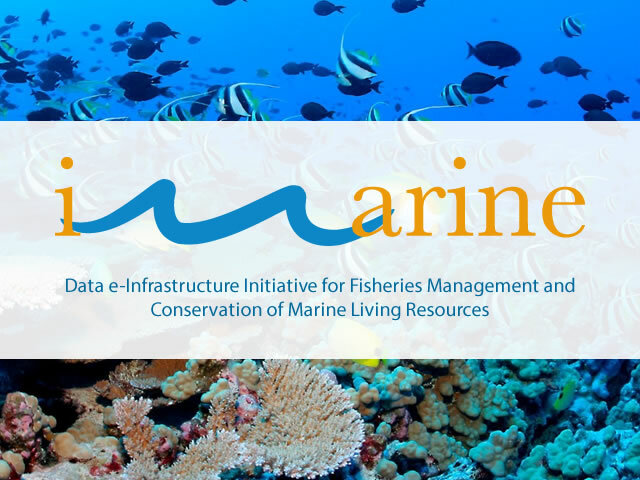 FIN - FishBase Information and Research Group, Inc.
iMarine is an open and collaborative initiative aimed at supporting the implementation of the Ecosystem Approach to fisheries management and the conservation of living marine resources. Richer, better quality and timely science-based knowledge related to aquatic resources is available through the iMarine data e-infrastructure. The aim is to serve policy development and implementation towards goals of the Ecosystem Approach. The data e-infrastructure enables a cost-effective and facilitated retrieval, access, collaborative production and sharing of information and tools. By interconnecting all concerned actors operating in different domains around common data, information and multidisciplinary knowledge-building, iMarine facilitates the emergence of a more unified and effective Ecosystem Approach Community of Practice (EA-CoP). Communication, Dissemination & Training WP Leader: Trust-IT was responsible for defining, coordinating and monitoring dissemination, outreach and training activities throughout the life-time of iMarine, fostering cross-disciplinary, cross-border community mobilization and cohesion. Development of the iMarine mobile application, AppliFish for iOS & Android. AppliFish in October 2014 has collected over than 8400 downloads. iMarine sustainability study: Trust IT has also contributed to the iMarine sustainability study aimed to support the iMarine initiative in developing an iMarine Public-centered Partnership Business Model. The study included market analysis activities for the elaboration of a Business model, targeted on services for initial user communities and market, exploitation & sustainability analysis, targeted to stakeholders and user relationship management, including Infrastructure & Operations cost-benefit analysis. This project has received funding from the European Union’s Seventh Programme for research, technological development and demonstration under grant agreement No 283644.